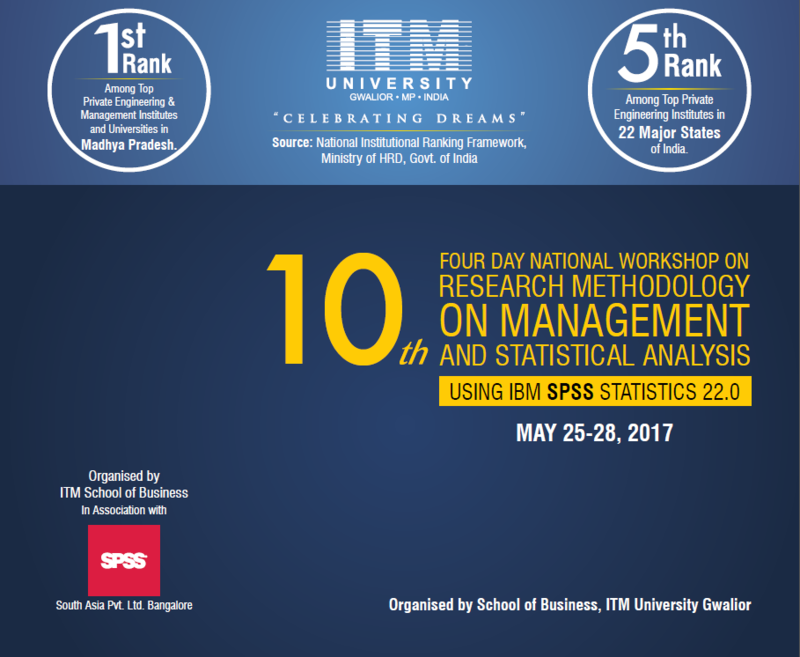 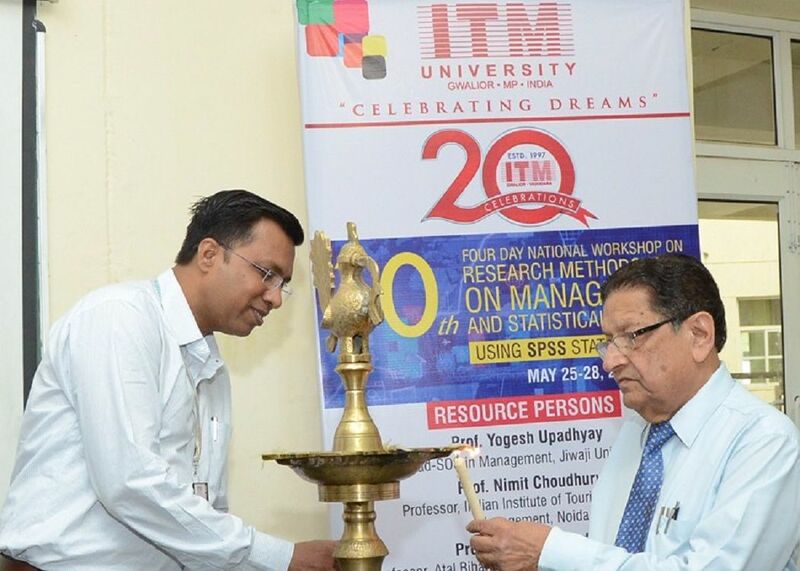 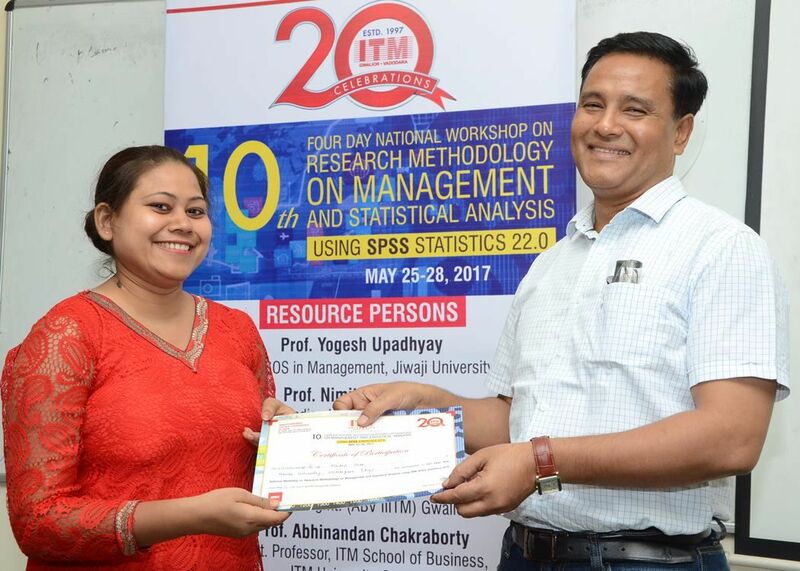 ITM University organized a four-day workshop on Research Methodology under the auspices of School of Business and MPSS. 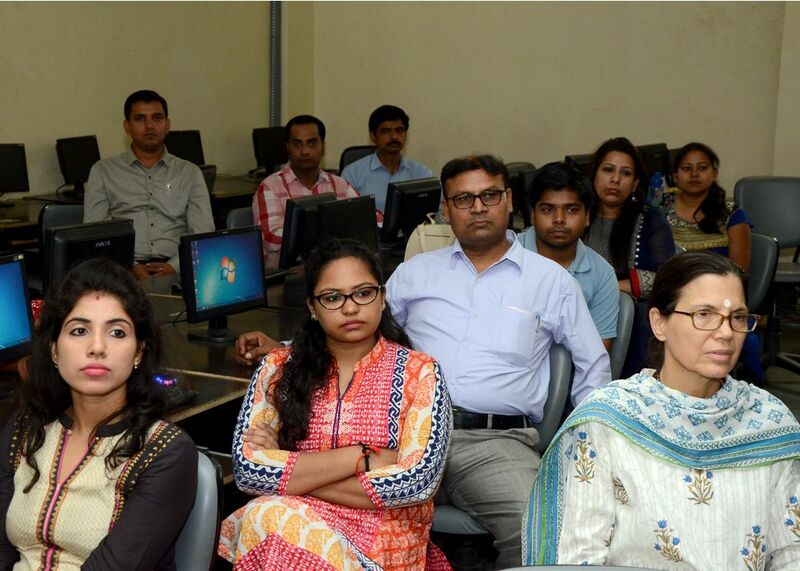 36 researchers from all over the country participated in this workshop. 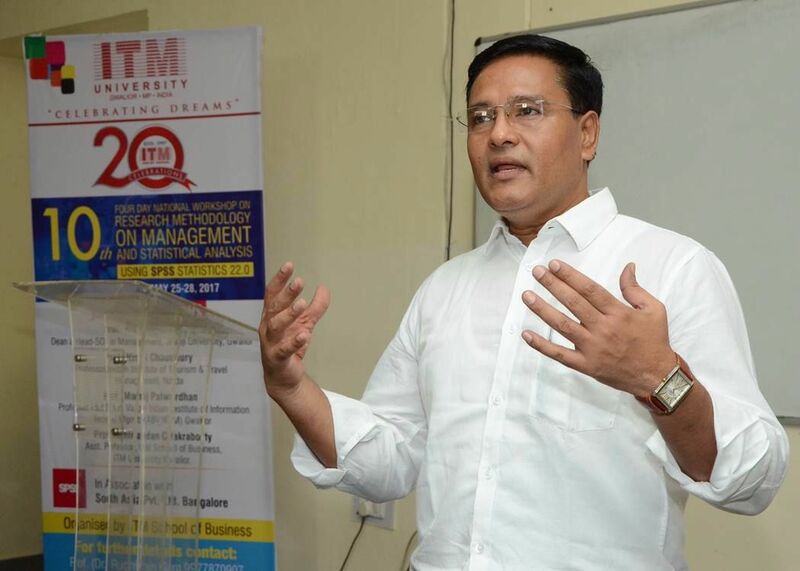 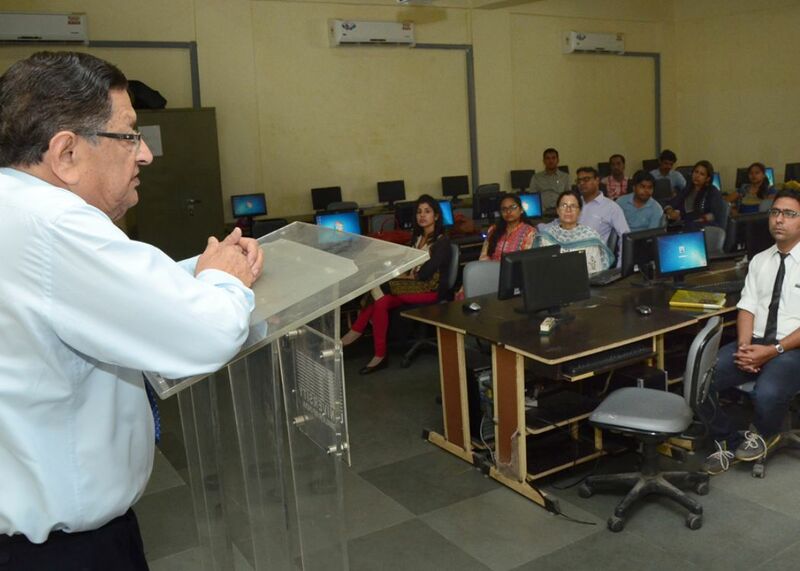 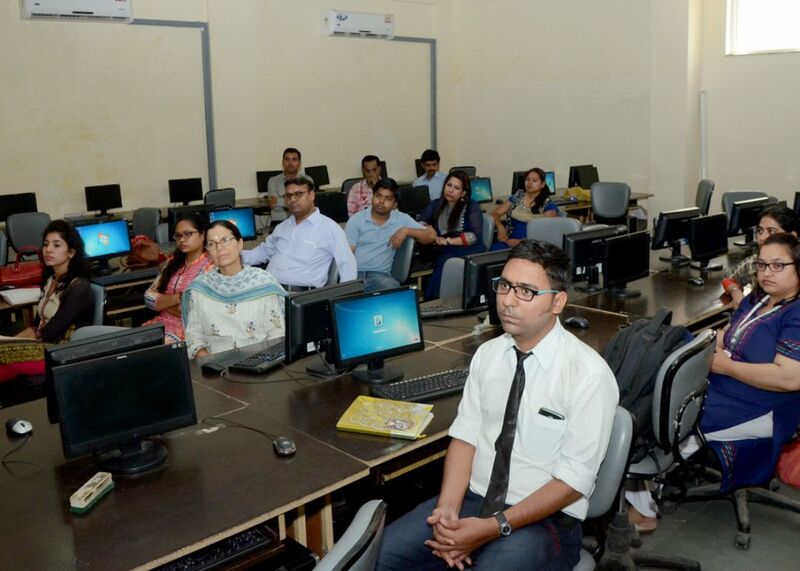 Dean and Head of the Management Department, Jiwaji University Dr. Yogesh Upadhyaya addressed the participants on the Technical knowledge of subject. 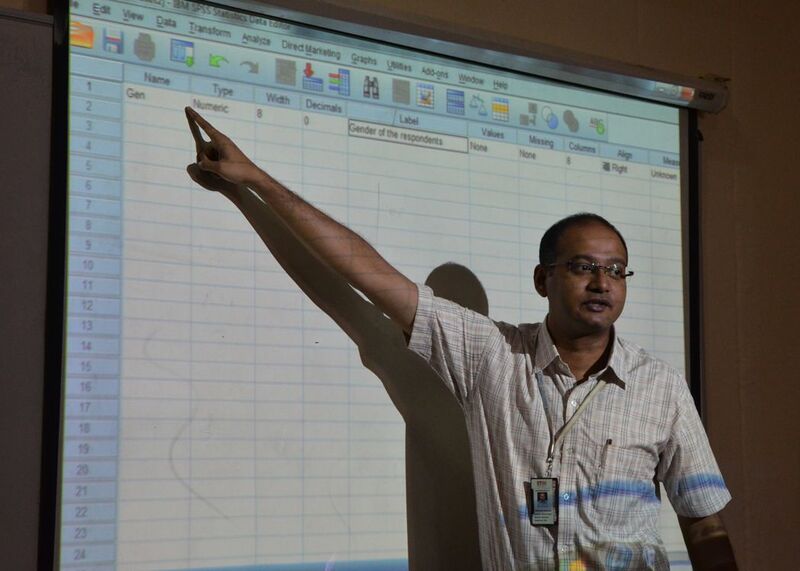 He also spoke on High standard Factor Analyzer like Smart-PLS, Linear Model Regression, Factor Analysis etc. 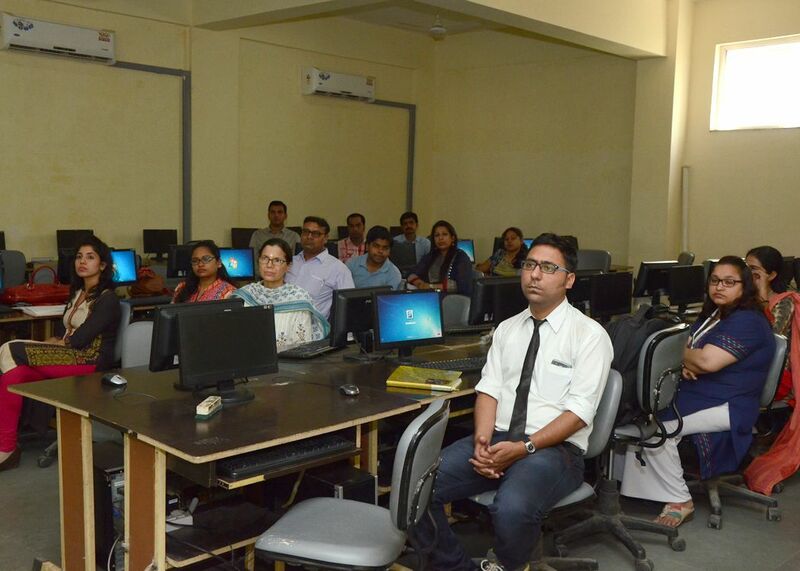 Dr. Upadhyaya also emphasized on the proper selection of sample to be used in research.On the concluding day of the workshop, Dean, Department of Management Prof. Vandana Bharati, HOD Somen Mitra and Prof. Abhinandan Chakraborty were also present. 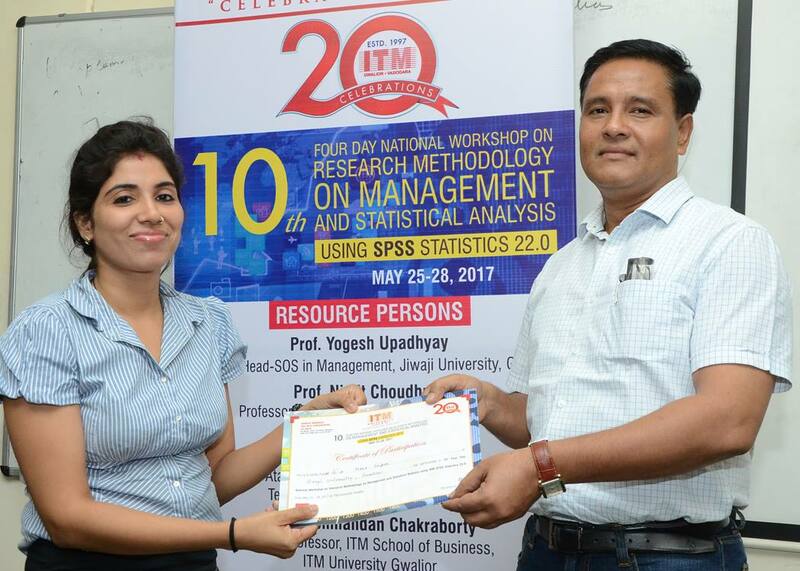 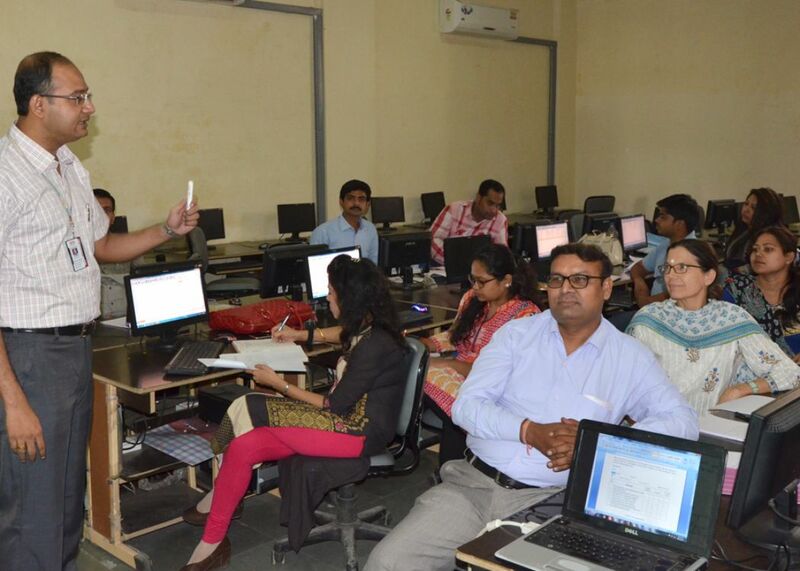 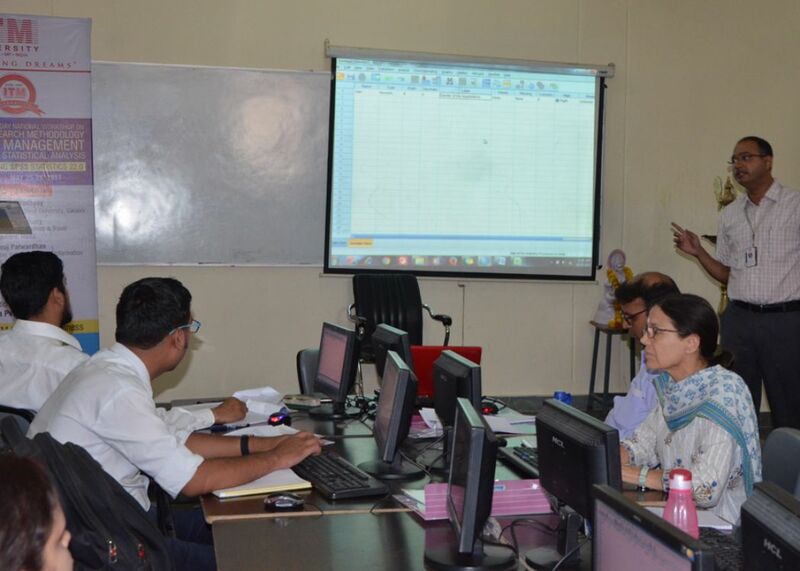 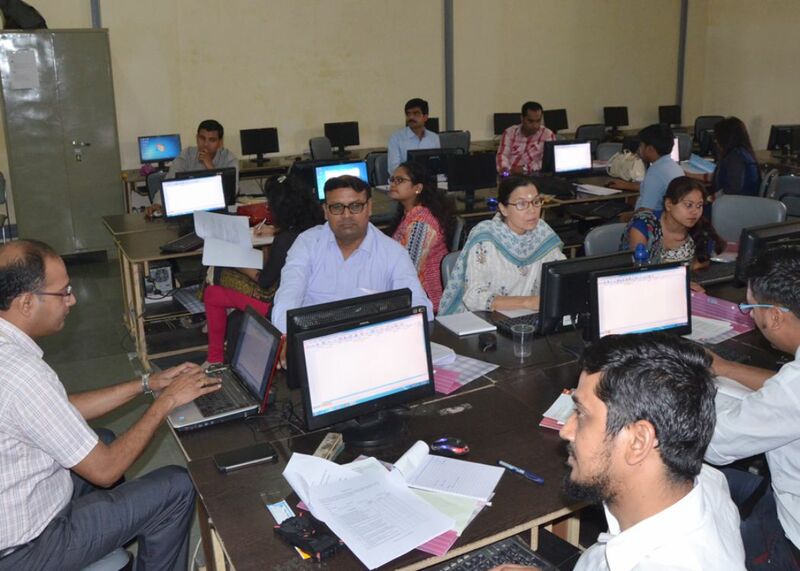 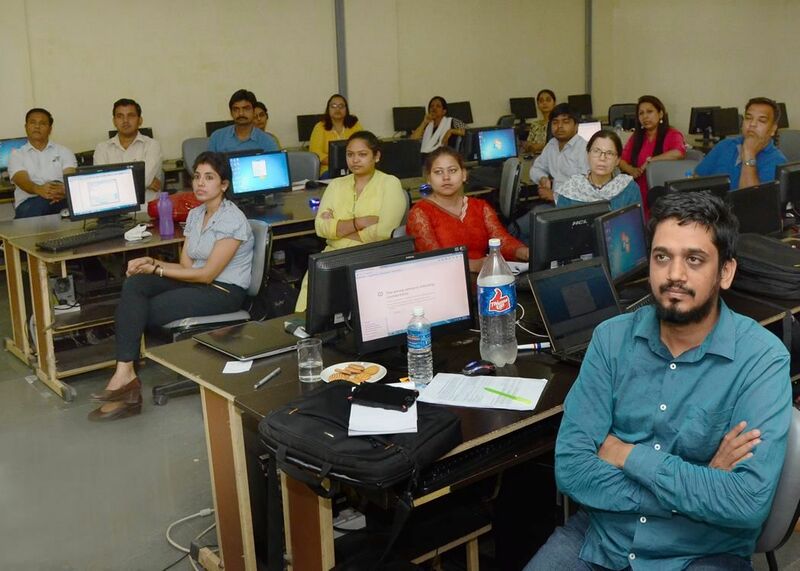 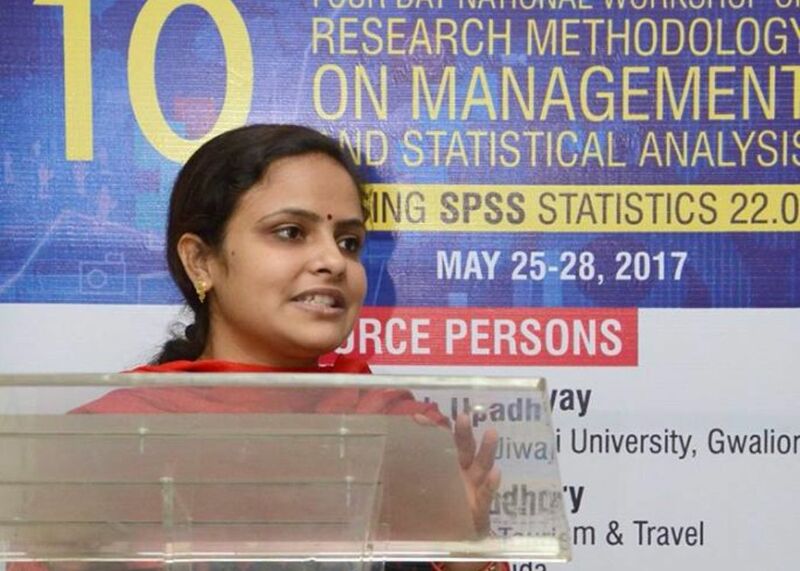 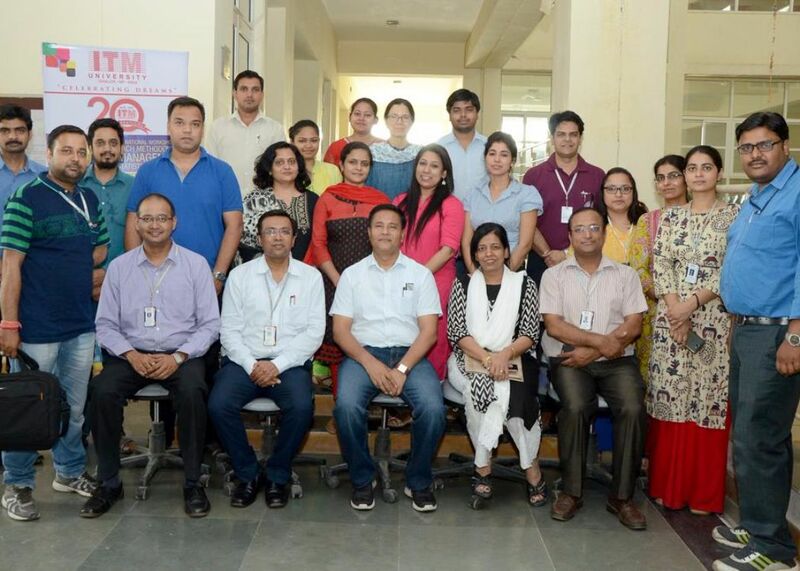 The 4-day workshop on Research Methodology came to a close on May 29. 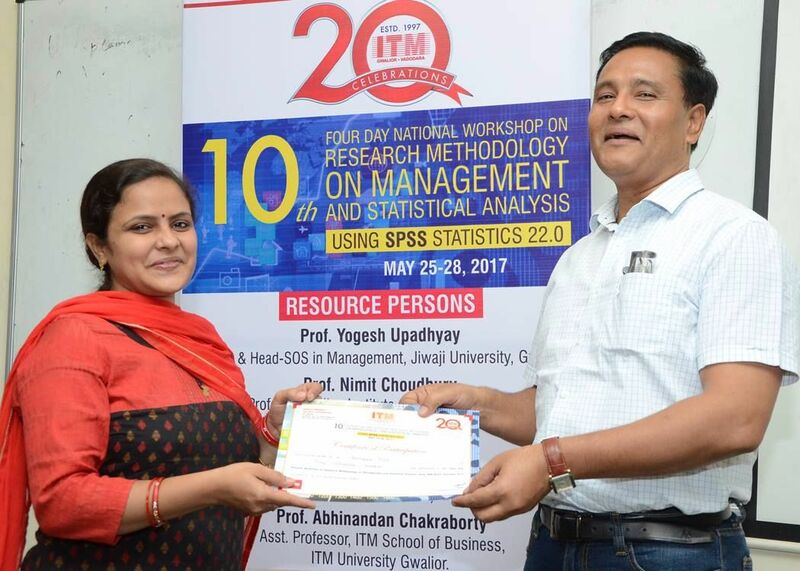 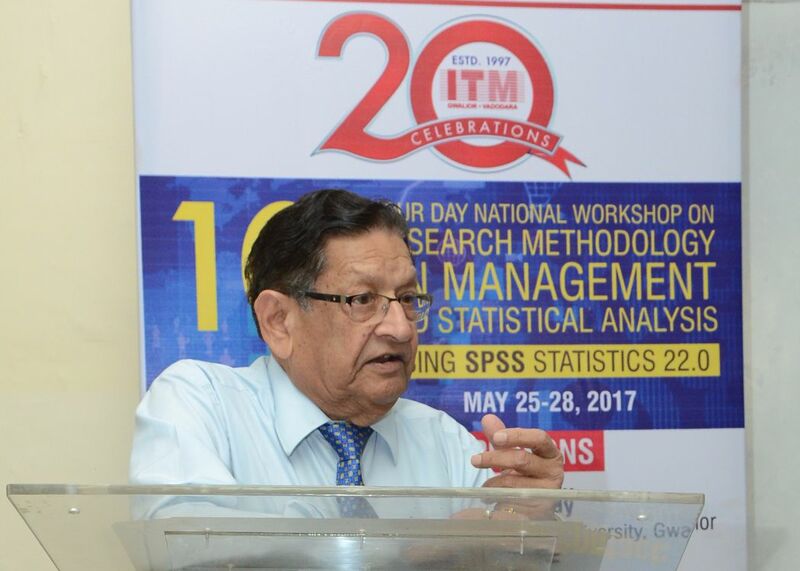 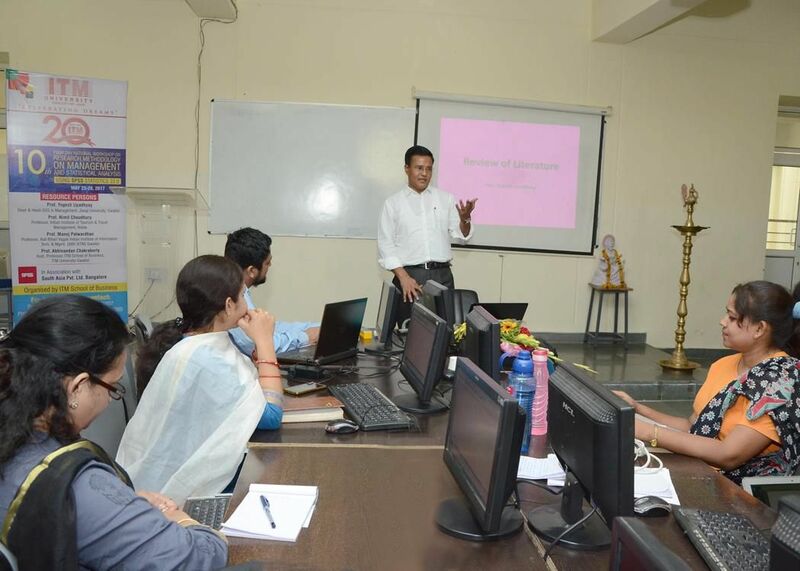 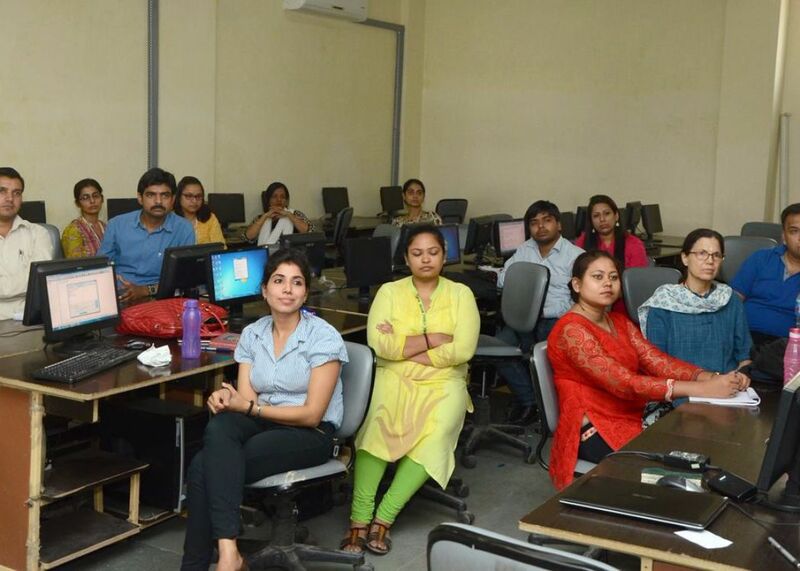 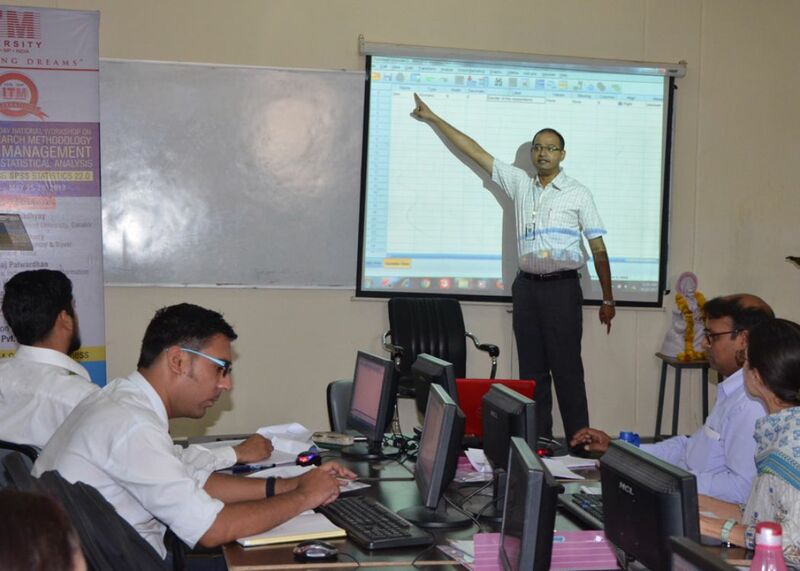 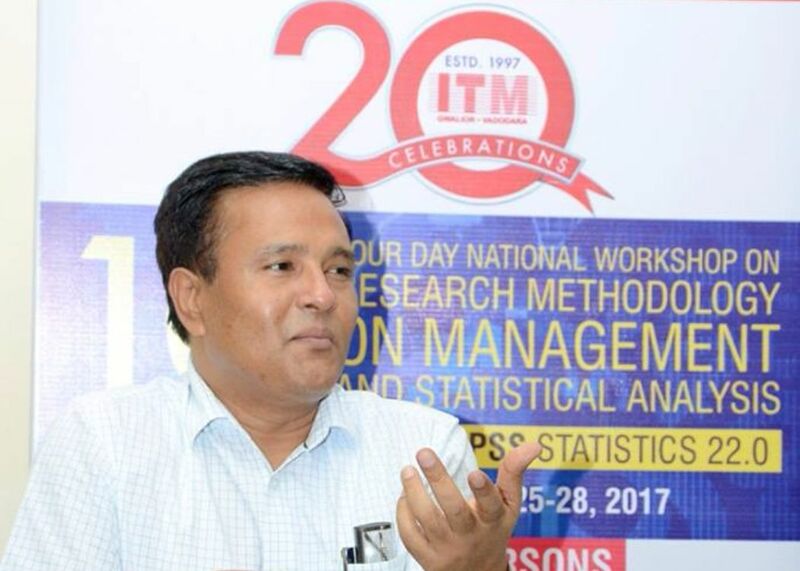 On the final day of the workshop, Dr. Yogesh Upadhya, Dean, School of Management, Jiwaji University, Gwalior, addressed the participants on SMART PLS, Linear Model Regression,Factor Analysis, Z Test, T Test, Anova, Interaction Effect, Correlation and Semi Partial Correlation. 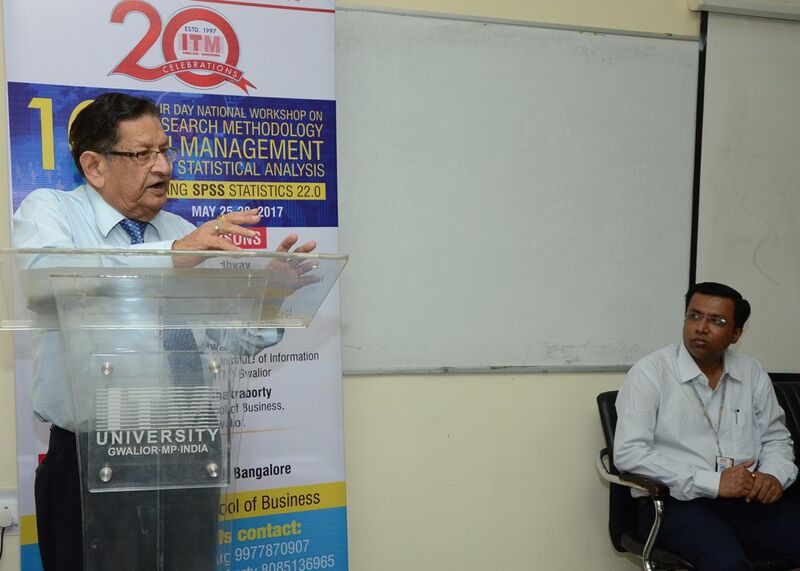 He also emphasized upon the fact that a research should always be social welfare- oriented.